Subscribe to our e-news to receive email updates from PTMSC, including when summer camp dates will be posted. Click here to subscribe. To register your child for a PTMSC Summer Camp, please click on one of the camps below. You will be directed to the online registration form. Fill out this form once for each child per camp. Payment in full is requested upon completion of the online registration form. PTMSC members receive $10 off each registration (use promo code MEMBER). If you are not yet a member, we invite you to join today to enjoy this and many other members-only benefits! 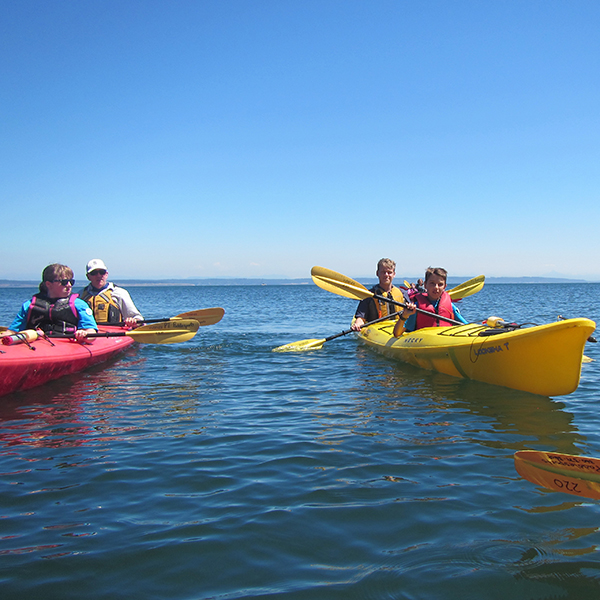 Want to take a deeper dive into the Salish Sea this summer? 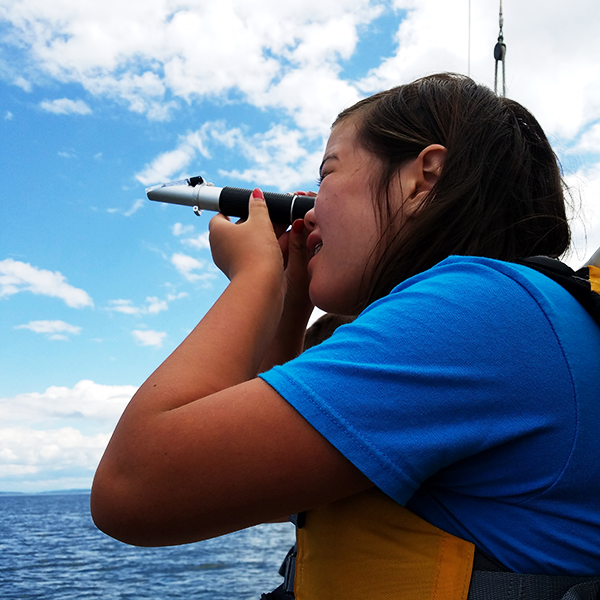 Learn about marine ecology and conservation on the water, and visit areas accessible only by boat while collecting scientific data aboard the Northwest Maritime Center’s historic longboats on two day-long expeditions in this camp. Note: On Wednesday and Thursday, camp starts at the NWMC. Spend a week exploring and discovering marine and coastal life, animals, plants, and secret spots. This half-day camp is all about fun, with activities in and around the Marine Science Center. It’s a great program for the younger camper who loves marine animals and exploring. Immerse yourself in Marine Biology! Campers engage in exciting classes, labs, and field programs. A few of the many captivating activities include: sieving through goopy sediments looking for brittle stars, articulating a gray whale skeleton, and using microscopes to observe the plankton that supports all life in the sea. 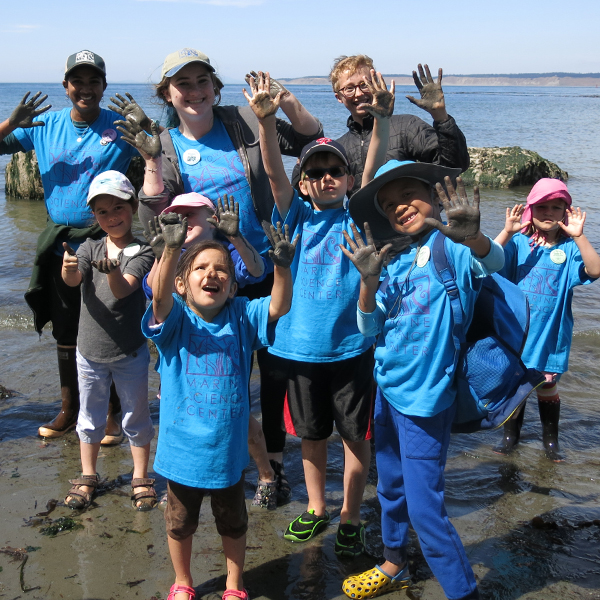 What better place to experience the wondrous and awesome intersection of nature and art than at Port Townsend School of The Arts and Port Townsend Marine Science Center on the beautiful Fort Worden campus? Your young artist - together with naturalists from Jefferson Land Trust and Port Townsend Marine Science Center - will explore the amazing flora and fauna that make up our immediate environment, and PtSA artists will continue that exploration in the studio with art projects that deepen the relationship to and understanding of these ecosystems, while providing means for self-expression. The week culminates with a Friday afternoon Student Art Show at the Port Townsend Marine Science Center Aquarium! This is an exciting collaboration with our partners, Jefferson Land Trust and Marine Science Center, and we think it will be a very special experience for your young artist. Note: This camp is run by PtSA, so you must be a PtSA member to receive a registration discount. Camp Counselor Application: Interested in being a camp counselor this summer? Find more information on the application form here! Applications are due March 31st.